McClain Senior John Salyers smacks a hard ground ball in a scrimmage against the Paint Valley Bearcats at Paint Valley High School on Tuesday. McClain Senior Sam Faulconer throws a pitch in a scrimmage against the Paint Valley Bearcats at Paint Valley High School on Tuesday. The 2019 version of the McClain Tigers varsity Baseball team is senior laden with a total of 10 players entering their final season in a Tiger uniform and will also field five juniors and one sophomore. 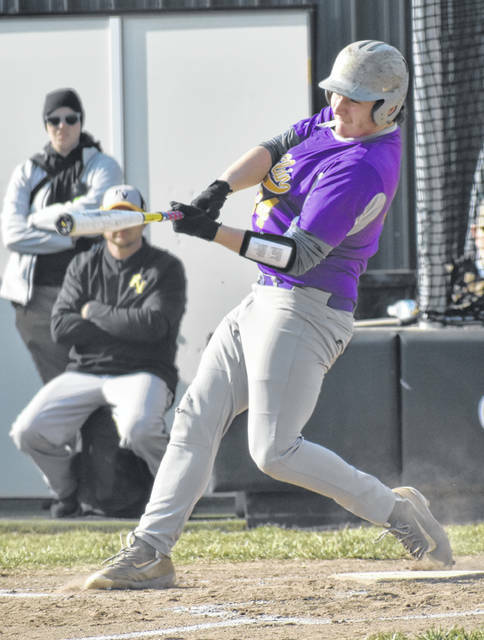 McClain Head Coach Rich Bunner can already see the experience on his team paying dividends as the Tigers prepare for their regular season opener on Monday, March 25, when they host the Huntington Huntsmen. “Our seniors are stepping up as well as our juniors they all are willing and ready to get going,” said Bunner. The Tigers are looking for first year varsity players to step in and fill holes on the team this season and Bunner mentioned two specifically that he expects to contribute in 2019. According to coach Bunner the Tigers will need to rely on their defense this season if they want to be successful and cut down on the mental errors that plagued the team a year ago. Two returning players that Bunner anticipates having big years for the Tigers are seniors John Salyers and Austin Booth. “We are very blessed to have such experienced players coming back led by seniors John and Austin,” said Bunner. 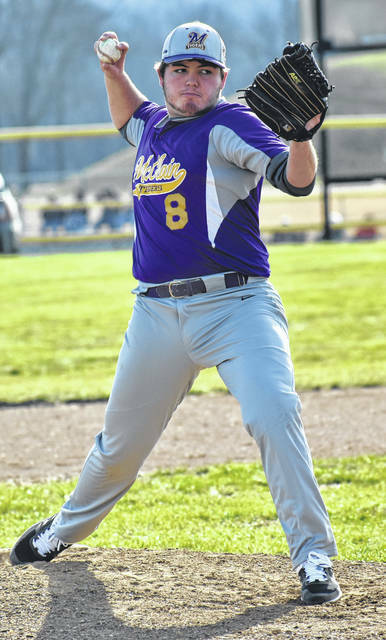 The Tigers will play three of their four cross county rivals this season starting with cross county rivals the Fairfield Lions in a double header on Saturday, April 6. McClain will travel to Hillsboro on April 12 for the first of the cross county and Frontier Athletic Conference rivals two matchups on the season and the return game will happen 12 days later when the Indians visit Mitchell’s Park on April 24. The Tigers will wrap up their cross county rivalry games on April 26 when they host the Lynchburg-Clay Mustangs.